Christmas is a time when most people’s thoughts turn to stocking filling and buying unusual gifts for the festive season. This also proves a great opportunity for a romantic weekend break and a chance for some retail therapy along the way. So where are the best Christmas shopping destinations around the world, where you can pick up those little surprises and spot great bargains and sample the real Christmas spirit. The idea of Christmas shopping is everyone’s vision of buying presents, walking around the department stores like Macy’s and Saks on Fifth Avenue, picking up special knickknacks in Bloomingdale’s and then wandering around the boutiques of Madison Avenue or searching for special offers on the lower East side. Beneath the towering skyscrapers of the New York skyline Christmas is in full swing from November onwards. Shop windows are seasonally decorated, Santa’s festoon the streets with their bells and collection buckets and lights and trees are everywhere. 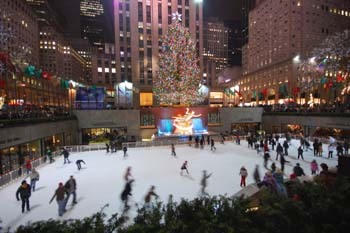 The Rockerfeller Centre and Bryant Park pond are two particularly festive spots to visit as both have traditional ice-skating rinks to get you in that white Christmas mood. Milan in Northern Italy is renowned the world over as one of the fashion capitals, here you will find all the best names in style and elegance. 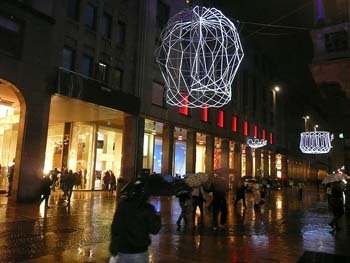 Christmas shopping in Milan is for those who adore fashion labels Prada, Gucci and Armani can all be found in the Fashion Quadrilatero. The narrow, cobbled streets of Milan are full of shopping surprises, little courtyards with out of the way stores, known only to the locals and major fashion houses that are scattered along the Via Montenapoleone, Via delle Spiga and Via Sant’ Andrea. December 7th is an ideal time to visit Milan as this is St Amborgio’s day and the whole of the centre becomes a giant open-air market. The streets are teeming with stalls selling antiques, paintings and books, a crowded but enjoyable atmosphere with people hunting out Christmas presents. When you are finally all shopped out there are plenty of chic Italian Cafés and gorgeous restaurants to give you back your strength. The self-proclaimed city of lovers, Paris is a popular romantic destination and always recognised as somewhere to find fashion, food and memorable sights. Le Bon Marche, Printemps and the Galleries Lafayette are destinations where any serious shopper should head. During Christmas there are many traditional open-air market stalls along the streets. The Esplanade de la Defense and Saint Germain des Pris are festooned with places to buy jewellery, craftwork, pictures and traditional foods. Those who are looking for typical French cuisine should head for the market at Montparnasse where you will find a great range of cheeses, wines, cakes and delicatessen delights. If you are looking for genuine hand made goods then the centre of Paris at the Rue de la Monnaie is the place to go. Over Christmas it is pedestrianised and full of artisans displaying their talents and skills. On Hong Kong you will find the usual Chinese artwork, collectable and curios but also many designer labels and fashion accessories. Even many of the local labels are becoming sought after in their own right. 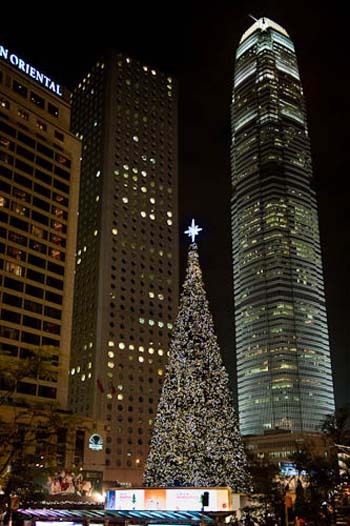 The beauty about doing your Christmas shopping in Hong Kong is that the sales start in December where discounts of up to 70% can be found. 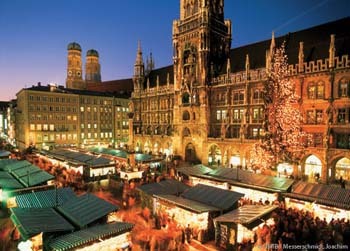 Munich’s town centre is full of mock wooden medieval market stalls, well stocked with German food, mulled wines, beers and pastries. If you are lucky the streets will be covered in snow and full of people wrapped up warm to create that prefect sense of occasion. Marienplatz is the main square to head for, brightly lit, with a large Christmas tree and plenty of atmosphere and has been the home of the Christmas market since the 14th century. The attraction of the German festive markets is the unique, romantic Christmas feel they evoke and the traditional live music, played daily from the balcony of the town hall only serves to add to this special time. 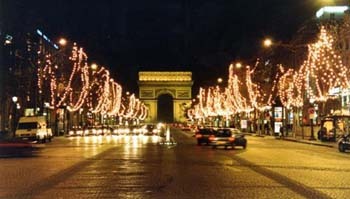 This entry was posted in Festivals and tagged Christmas shopping, city breaks, ideas, travel tips. Bookmark the permalink.